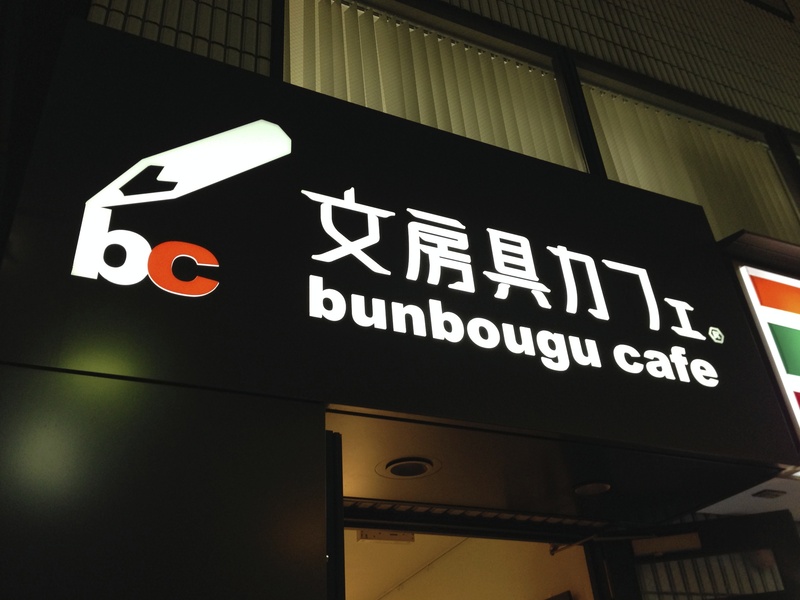 When we planned our trip to Japan, I knew exactly where I wanted to spend my birthday…bunbougu cafe. Last year, I fell in love with the cafe that mixes stationery, coffee, letter writing, cocktails and tasty food all in one comfortable and eclectic location. 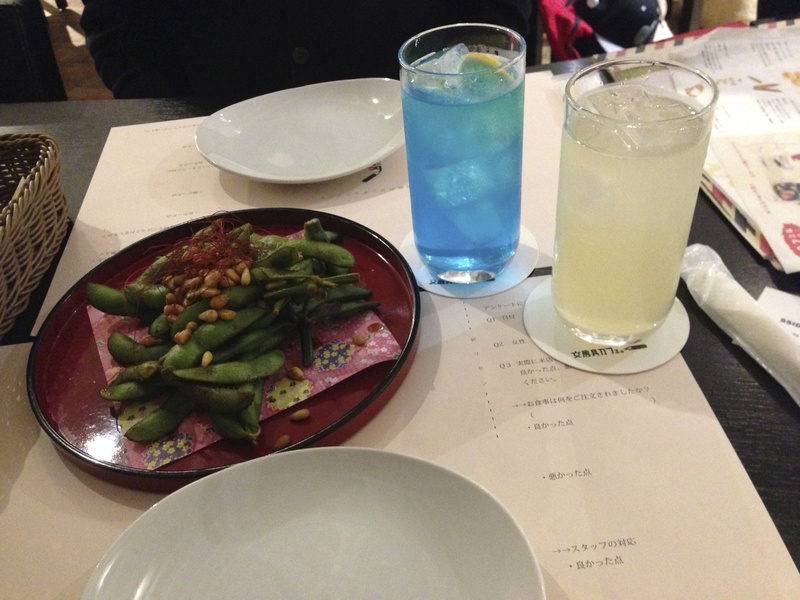 We’d never been to bunbougu at night, so both Naoto and I were excited to try out their one-of-a-kind cocktails. At the risk of this turning into a Hasegawa Happy Hour post, let me tell you about these cocktails!! First there were the Adult Ramune and the Lychee Squash. Ramune is a Japanese soft drink that has a lemon-lime flavor, but really doesn’t taste its American counterpart…it has its own distinct taste that is tangier than the American drink. 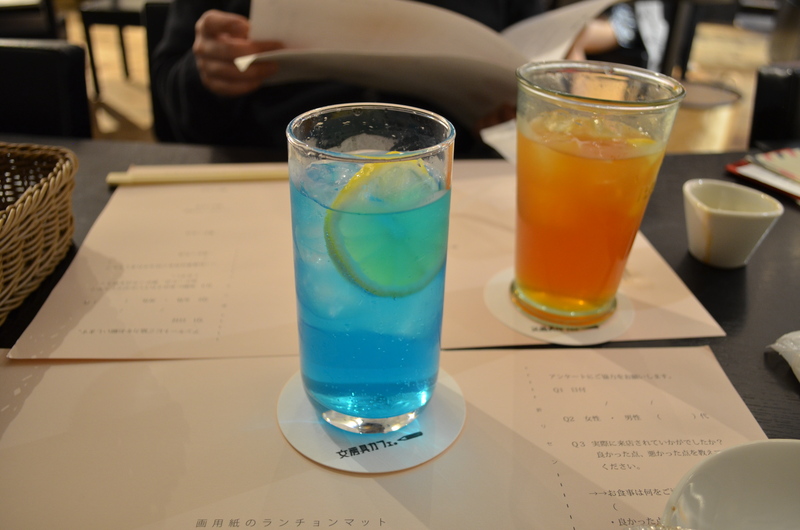 The Adult Ramune was made with blue curaçao and soda and it was my favorite. Who doesn’t love a blue cocktail? The Lychee Squash was lychee liquor, soda and grapefruit juice. It was so refreshing! (This might explain why it’s called a “squash” if you’re curious.) Neither of these cocktails packed a serious punch, but they were fun and tasty. 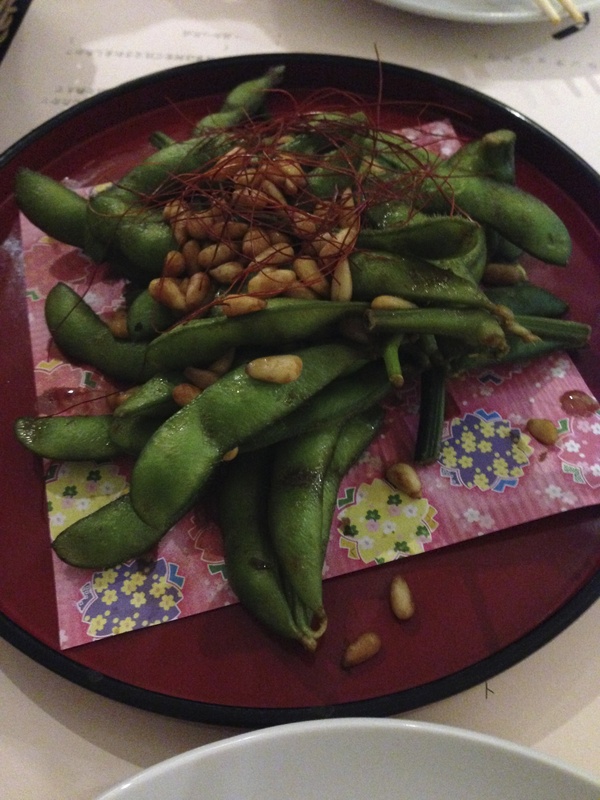 For our appetizer, we ordered edamame that was sautéed with pine nuts and soy sauce. 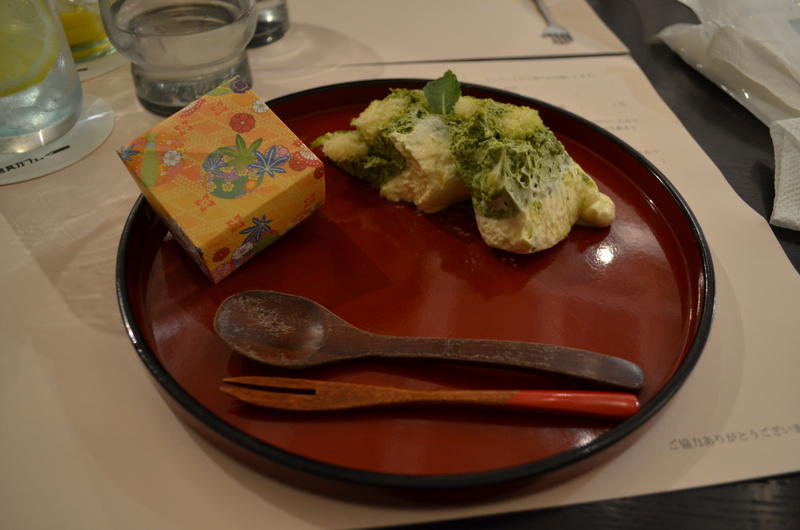 The edamame, presented beautifully on Japanese paper, was oh so delicious…I can’t even explain how much I loved it. We want to try to recreate it at home. For the next cocktail round, I got the Adult Ramune and Naoto got a Tea Mojito–a mojito that came with a shot of “tea espresso” to pour on top. I didn’t manage to take a picture of our dinners. 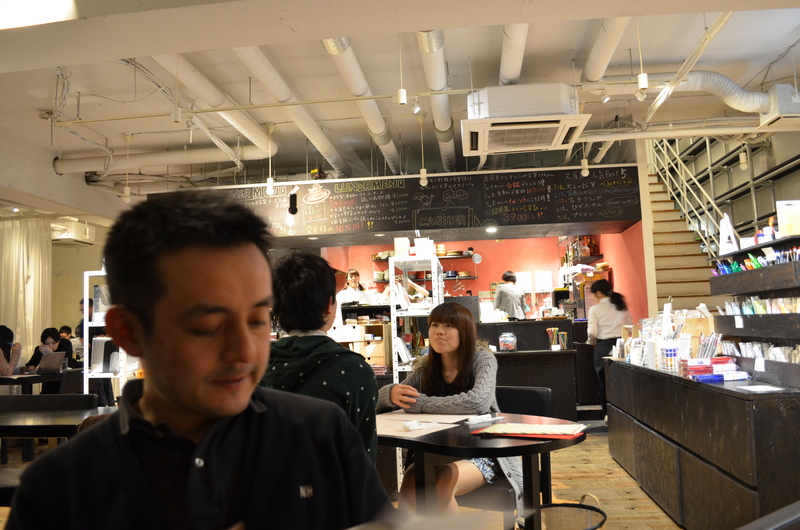 Naoto had a miso coated pork chop and I had roasted chicken with herbs and apples. You’ll have to take my word for it. Naoto had a third cocktail. It was called “Sketchbook in the Tropics” and the only thing you need to know about it is that it came with a pencil stirrer!! 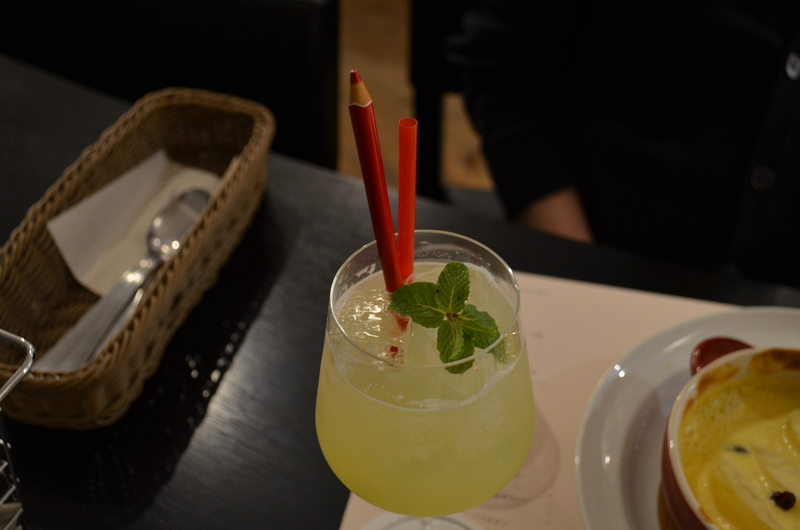 (They sell the stirrers at bunbougu, too!) 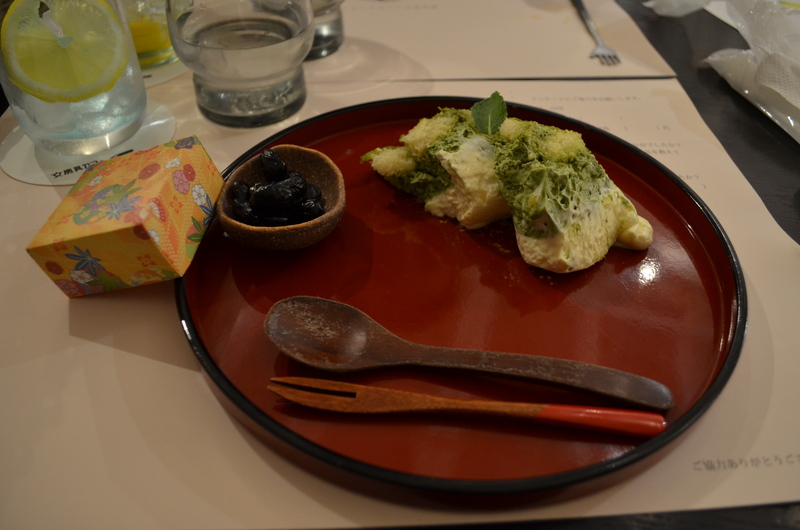 For dessert, I had Matcha Tiramisu…I’m a big fan of real tiramisu, but dare I say the matcha version is better??? Under the tiny paper box was a bowl of kuromame, sweet black soybeans typically eaten on New Years for good health. 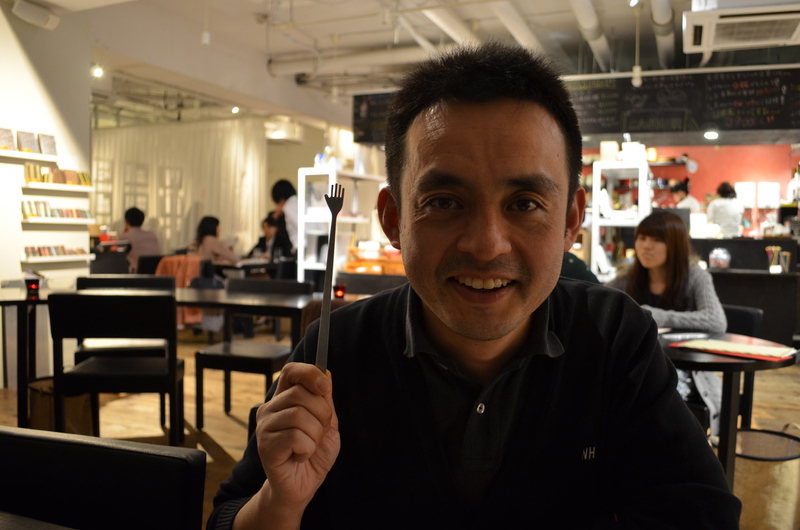 Naoto enjoyed those immensely while I ate up the tiramisu. I did a little birthday shopping at bunbougu, but I will share those treats later. 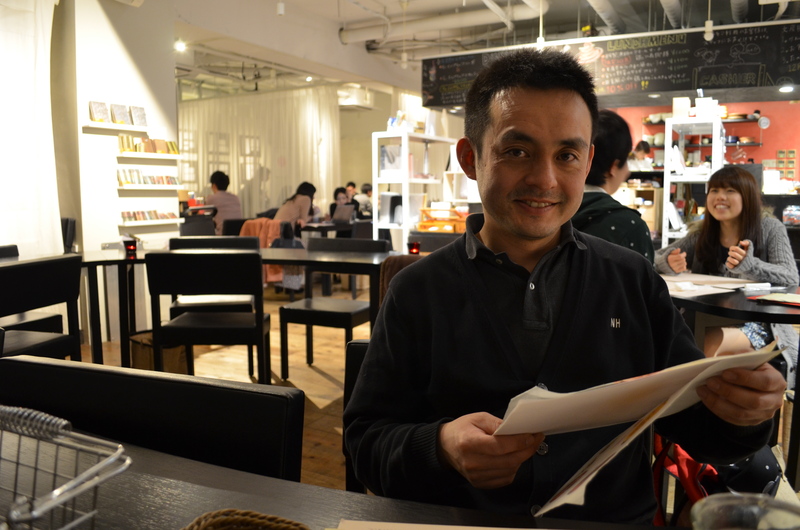 Thanks, Naoto, for taking me to the perfect place! What a lovely place, thank you for virtually taking me there.